I feel that I could go through fire and water to serve such a man as Napoleon, that no sacrifice he could ask would be too hard. What would the army think of me if Naploeon said “I want you to do so and so”, and I replied “But, your Majesty, I am very sensitive to cold, I want to have a sleep in the afternoon, to rest when I am tired, and I really could not do without plenty of good things to eat!” Would I not deserve to have my uniform torn from me and be driven from the army, not even allowed to serve in the ranks? How do I serve Jesus my King? What kind of service? Generous or making conditions? In easy things but not in hard ones? What have I done for Jesus? What am I doing for Jesus? What shall I do for Jesus? COMMENT: What have I done for Jesus? What am I doing for Jesus? What shall I do for Jesus? It was regular reflection on these questions that shaped Fr Doyle’s will and strengthened him for the martyrdom of charity that he suffered. 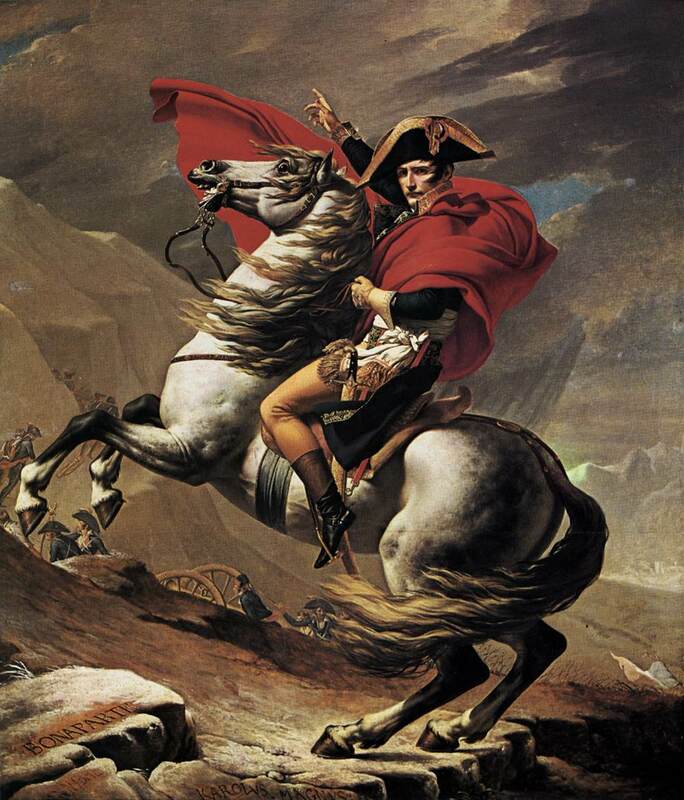 For Fr Doyle, Napoleon was a compelling figure. For us, 100 years on, perhaps it is a more contemporary military or political figure that attracts. How many people would go through fire and water for a political leader? Or even for a sports star or a celebrity? Or for a political ideology or movement? But if we would happily serve such an “idol”, how much more willingly should we serve our Creator to Whom we owe everything? Fr Jean Nicolas Grou was a French Jesuit writer of the 18th century who suffered much after the suppression of the Society of Jesus. Here are some words of his on this theme, taken from his book Meditations on the Love of God. This is a stirring call to arms. It is the kind of thing that motivates and encourages the young, and the young at heart. Perhaps that’s why those young people who remain in the Church are deeply committed to their faith and to evangelisation, and they sometimes frighten older people by their zeal. Both generations can learn from each other – zeal and prudence and balance have to go hand in hand. But the doubt and timidity and (dare one say it?) the embarrassment that seems to infect the Church in the western world, and especially in Ireland, does little to attract young people who search for meaning and challenge. If one looks at the ideological movements and campaigns to which many young people are attracted one sees energy and enthusiasm and a willingness to go (figuratively) through fire and water on behalf of their favoured cause. The saints went through literal fire and water for Christ – to serve Him and to save souls. Our Christian brothers and sisters are forced to do this in the East in the face of real physical persecutions. And we in the West? What have we done for Jesus? What are we doing for Jesus? What shall we do for Jesus?